Construction Commentary – Case Study #3: Whose fault doesn’t matter. Contract language does. Construction is a specialized industry that poses substantial risks to everyone involved in it. Contractors need to partner with an agency who understands their business and the risks they face day in and day out. McConkey’s Construction Division focuses on learning the nuances of their client’s business and educating them on how to best manage that risk through proactive loss control and innovative methods of loss funding. 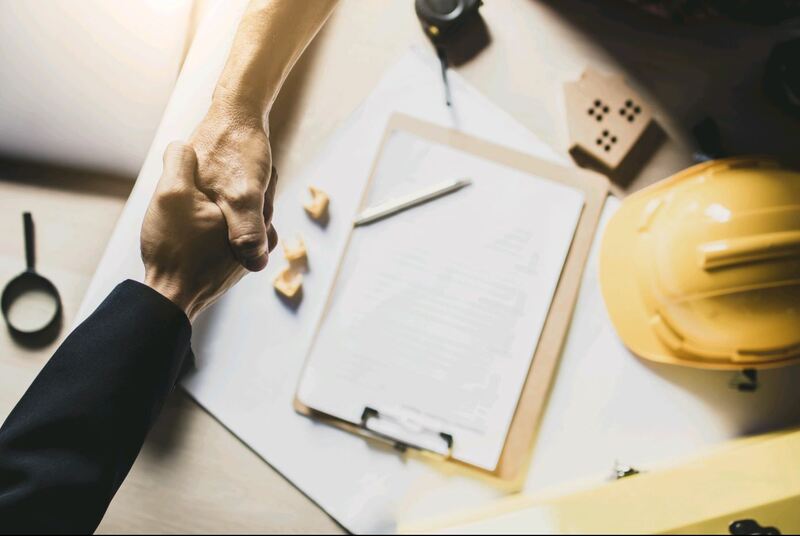 In order to be an effective insurance agent or broker in the construction industry, you need to have an understanding of contracts because the responsibilities of both parties are outlined in that agreement. Two of the common responses clients get regarding the “Do I have coverage for that” question are: “It depends” and “What does the contract say?” While we strive to give a black and white answer whenever possible, we often are not able to give a definitive answer without asking additional questions. One of the frequently overlooked issues is who is responsible for damage to “the work” if damage occurs after it’s installed as part of construction project. For the purposes of this article, we’ll define “the work” as the scope of work according to the contract documents. Many construction companies wrongly assume that they are only responsible for damage to “the work” until it’s installed and that a builder’s risk policy will automatically provide coverage after that point. Those assumptions are incorrect and making them can be costly. This issue was highlighted when McConkey was reviewing a contract for a new client who had asked us to issue a certificate of insurance for the job they were just awarded. The actual insurance requirements were all met, but there was one area outside of the insurance requirements that was problematic. The contract stated the subcontractor is responsible for damage to the work until the project is completed and accepted by the owner. The contract put the responsibility back on the subcontractor to repair/replace any of their work that was damaged during the course of the entire project, even after the subcontractor’s work was completed and “accepted by” the General Contractor. This subcontractor’s installation floater policy, which is property coverage designed to cover material prior to being installed, did not provide coverage after the material was installed. Any work that had been completed would be uninsured until final acceptance by the owner. Depending on the timing of a potential claim, this requirement could require the subcontractor to complete the work twice and only get paid for it once. What complicates this issue for many insurance agents is that this requirement is not spelled out in the insurance requirement section. This subcontractor was in compliance with the insurance requirements, but there was a gap in coverage due to the language under the section “Damage to the Work”. Additionally, it’s not always easy to determine whether an insurance policy would provide coverage in these situations. Unlike General Liability policies, Inland Marine policies are not standardized so it’s not easy for most agents to determine whether there would be coverage in this situation. It’s easy for agents and contractors to focus on price when making a decision, but coverage nuances like this can often make going with the cheaper policy a costly decision in the end. Now what if there was a builder’s risk policy on this job that was purchased by the owner or general contractor? That might not matter due to the language in the contract. The subcontractor would have needed to modify the contract language to state that the subcontractor was an additional named insured on that policy and modify the language to state that the subcontractor’s work is covered by the builder’s risk policy. If the builder’s risk policy only named the owner and/or general contractor as named insureds then they would have to file a claim on behalf of the subcontractor. If there was no contract language in place to enforce this then the subcontractor would have to rely on the goodwill of the general contractor/owner to enforce this. If you are a paving, excavating, utility, or other site preparation contractor then don’t think that you’re immune to this type of exposure. I would argue that due to these areas often being overlooked when it comes to insurance for damage to “the work” that this is something that those types of contractors should monitor even more closely. While this is a very basic example of how contract language can impact the need to review the language within insurance policies, it’s purpose is to bring to light one of the more frequently overlooked areas where contract language and insurance coverage overlaps. This is an important reminder of why companies shouldn’t make insurance decisions based on what the minimum coverage requirements are in the contracts they sign.